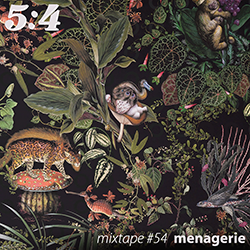 For the new 5:4 mixtape, i’ve turned to the world of animals, assembling music that references a diverse collection of wildlife. All manner of beasts are featured, insects, birds, reptiles and amphibians in addition to mammals, from the smallest (probably, in this selection, a wasp) to the greatest (definitely, in this selection, a whale), and i’ve not entirely limited myself to reality, including a couple of pieces that pertain to non-existent creatures. 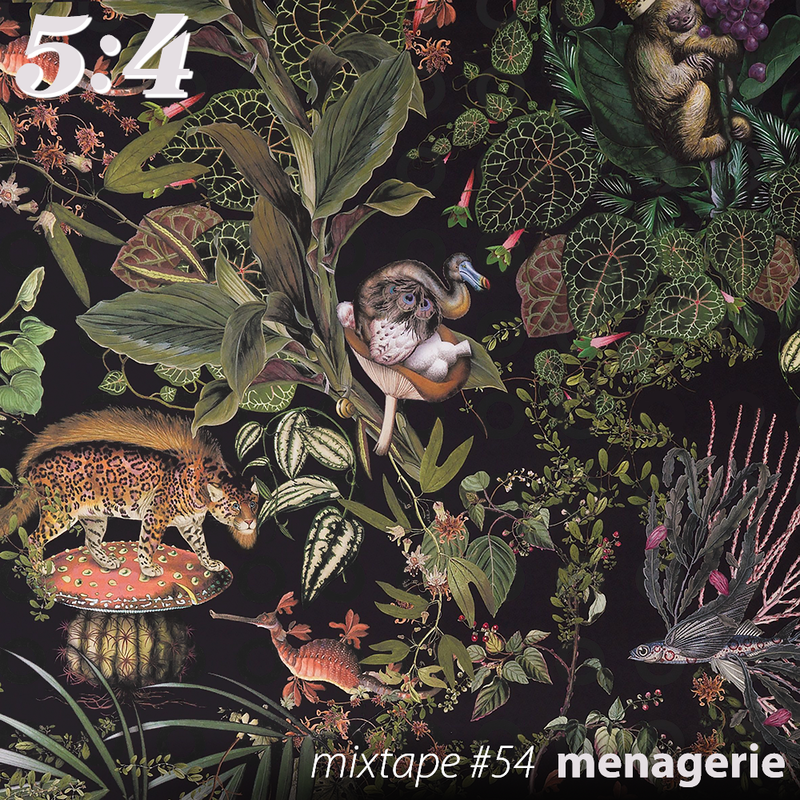 The musical choices are similarly aesthetically eclectic, and on this occasion i’ve not sought to make strong stylistic connections throughout the mix but instead emphasise uniqueness: for the most part, none of the 38 tracks closely resembles any of the others.